Silvestri Corporation of Salem, New Hampshire, under the direction of William Silvestri, is known for refusing to compromise in matters of planning, quality of materials, workmanship, and fiscal reponsibility. Wright Farm I: an award-winning community of 15 luxury condominium homes. Wright Farm II: an award-winning community of 29 luxury condominium homes. Wright Farm Iib: an award winning community of 20 luxury condominium homes. Dunlap Woods: construction of a 61-lot upscale residential subdivision. Village Green: constructed 120 luxury residential condominiums. First Parish Church: 8,800 SF addition. Silvestri Estates I: 26 single-family homes. Silvestri Estates II: 26 single-family homes. Hadco Printed Circuits: 15,000 SF commercial building and treatment facility. Country Squire I: 102 condominium townhouses. Country Squire II: 44 condominium townhouses. Tamposi Family Investment Properties: renovation and interior retrofit for industrial/office space for owners and tenants. Country Crossing Condominiums: 150 townhouse and garden condominiums. Hollis Crossing: construction on a 24-unit residential condominium building and 8-unit townhouse building. Hollis Crossing: an award-winning community of 460 townhouse and garden condominiums. Teradyne Circuits Division: remodeling, renovations and additions. Knights Of Columbus: 16,000 Square Feet Addition/Renovation. Hawkins Glen: 43 detached condominiums for Captains Village Development Corp., including a clubhouse and recreation center. ProStart: interior renovations and new office building. Saint Joseph's Church: renovation of the church, basement and other misc. work. Stiles Road Professional Offices: 30,000 SF of office condominiums. Captains Village Properties Mini-Mall: 29,000 SF village shopping center. Hadco Industries: 17,000 SF addition. 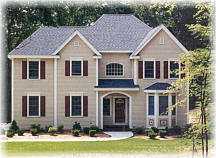 Custom Homes: we have constructed several single family custom homes in Salem, NH. Catholic Charities: New Office Space Renovation. 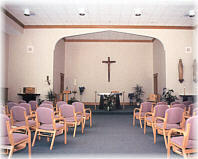 Sisters Of Mercy: Phase I - renovation of approx. 24,000 SF of skilled nursing, dining and chapel areas. Phase II - renovated approx. 24,000 SF of assisted living areas. Castle Junior College: an administrative office addition. Plaza 93: restaurant, country store, and 7 offices. Wynridge: 35 luxury condominium homes. Lamplighter Village: 60 luxury condominium homes. Mountain West: an award-winning community of luxury waterfront living condominiums. Custom Home Renovation: $1,000,000 renovation of a single family residence. 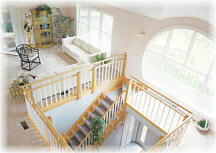 Custom Homes: we have constructed several single family custom homes in Bedford, MA. The Landing: 16 luxury condominium homes. 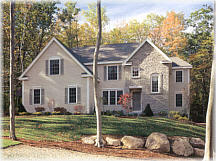 Custom Homes: we have constructed several single family custom homes in Lexington, MA. The Landing: 24 luxury condominium homes. We welcome the opportunity to provide you with a more personalized introduction to Silvestri Corporation, or to offer numerous references from our esteemed list of customers to help you complete your evaluation of our offerings. Please contact us at (603)893-4324, or visit our Contact Information Page.